Sleek, solid and unrelentingly stylish, ALLOY tiles have changed the 'face' of mosaics by delivering the authentic, seductive sheen of metal for interior and exterior surfaces. 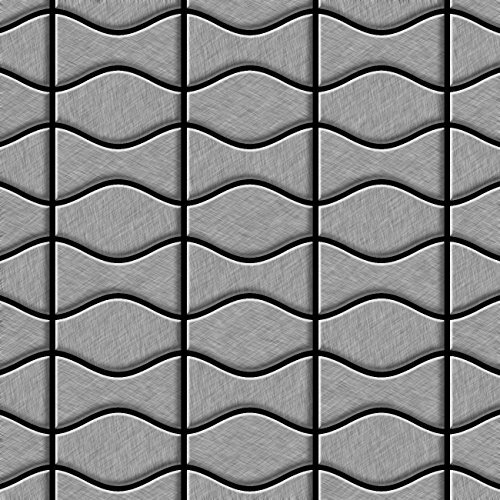 The unique ALLOY tile sheets, unlike low-grade copies, are long lasting and hardwearing and contain no backing mesh, plastic inserts or metal look-alike 'metallic' coatings so they won't dent, crack or de-laminate. Our customer service is there for you, don't hesitate to request various colour combinations when you ask for a quote.